Updated 11-18-2018: --- The mod has been updated to be compatible with the latest game patches (The Sims 4 version 1.47.49, Nov 13, 2018). Version 3 of the mod adds a button on the notification to enable you to allow the delivery to proceed without having to switch to the other household if you choose. 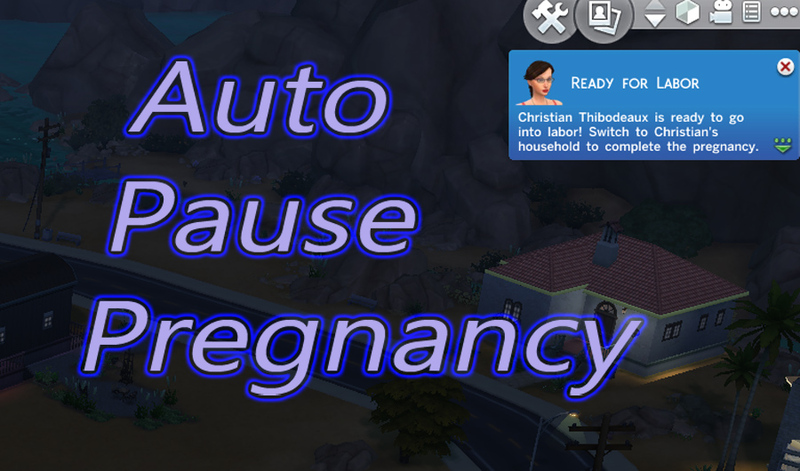 Use only one version of the mod - the normal version will issue a notification when a paused pregnancy is ready for delivery, and the no alert version will simply pause the pregnancy prior to delivery without notifications. It annoyed me that played sims that were pregnant would complete their pregnancy while I was playing another lot, even though I had aging for played sims set to the current household only. I'd come back after playing another lot for a few sim days to find that the parents had missed out on the whole process and had a new crib with a randomly named baby. The mother hadn't aged... so how the heck did the baby get born while time was standing still? I wrote a simple script mod to take care of this "fault" with the game. Since I have a few other mods I'm working on that aren't ready for release, I thought I'd spend a couple hours tonight polishing this up and uploading it for those who also don't like this happening. Usage is automatic once the mod is installed, this simply skips the automatic labor/birth process for any played sims that aren't in the current household. It effectively puts the pregnancy on hold until the next time you load up that lot. A notification will display showing the sim that is ready for labor so that you can switch to that lot when you are ready to continue that household. 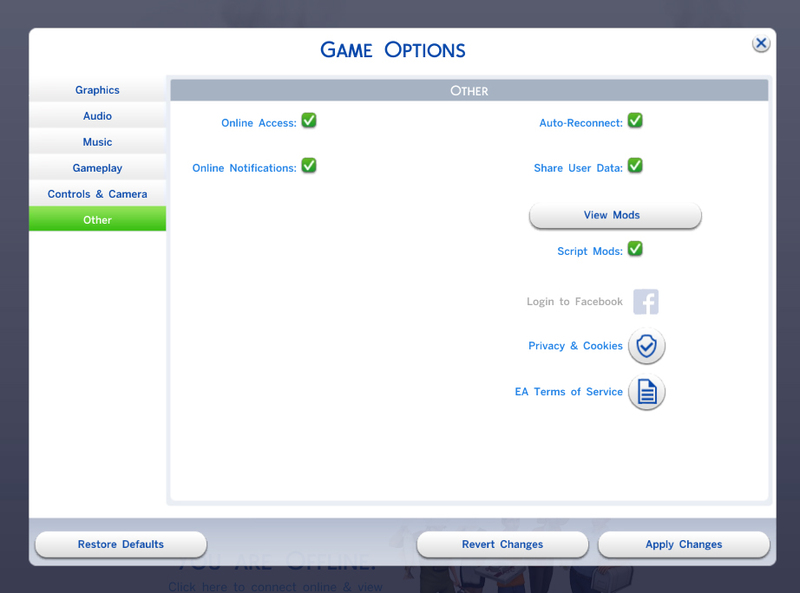 The automatic birth is only skipped if the aging option for played sims is set to only allow aging for the current household, or turned off completely. Non-player controlled sims (NPCs and townies) will continue to have their pregnancies finish off normally. To install, simply extract the .ts4script file from the download into your mods folder. Script mods can be placed a maximum of one subfolder deep in order to function properly. Scripting must be enabled in your game options even if you use the mod manager for installation. This mod was written and tested on Windows version 1.38.49.1020 of The Sims 4 (Jan 11, 2018), but will likely work with several previous and future game patches. The script source is included in the zip file. This mod may conflict with any other mod that modifies the update_pregnancy script in the game. It is fully compatible with all known existing mods (in particular the MC Command Center, which implements a similar feature now). Use only one version. They both work identically except the No Alert version will not generate in-game notifications that a labor has been skipped.